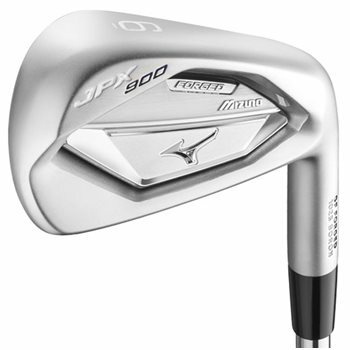 The Mizuno JPX 900 Forged iron set is designed to take players to the next level with increased distance and forgiveness with all of the technology that it offers. First, the club head is thin and delivers distance because of the Grain Flow Forged 1025 Boron composition. Next, Mizuno’s Power Frame Technology distributes weight into the corners of the club, allowing maximum forgiveness on the occasional poor shot. Finally, the JPX 900 Forged irons are equipped with a reengineered CNC Milled Pocket that gives these clubs a high launch angle for players to attack the pin. Review by Mark, 4 months ago.